A new trailer has been released for alien sci-fi film "After The Lethargy" from writer/director/producer Marc Carrete (Asmodexia, Framed). 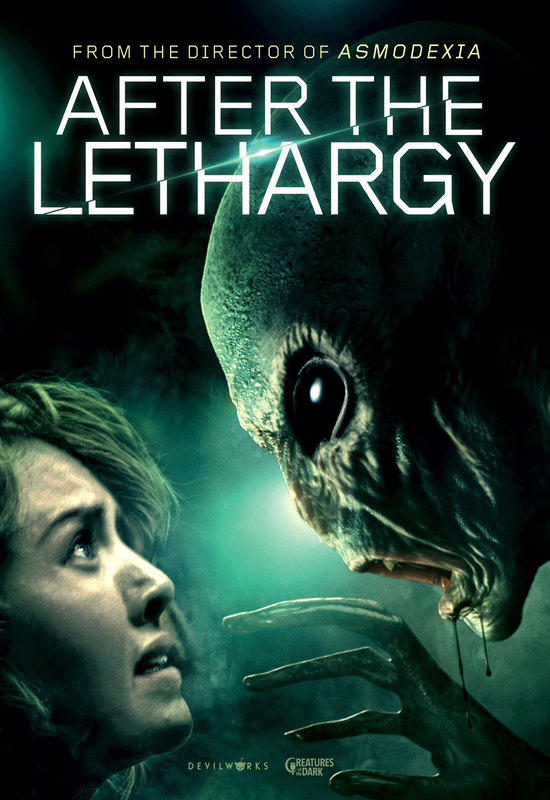 "After The Lethargy" tells the story of a young journalist who travels to a war shelter, where one of history's most terrifying alien abduction occurred and discovers she is being hunted by a family of hybrid human aliens. Starring Andrea Guasch (Submergence), Joe Manjón (Framed, The Man Who Killed Don Quixote), Ramon Canals (Asmodexia) and Mark Schardan (Realive). "After The Lethargy" was produced under Marc Carret’s Spanish production companies After The Lethargy AIE and Creatures of the Dark and is his first feature in English. The film screened at Terror de Molins, Buenos Aires Rojo Sangre and won Best Scare at the 2018 Horror Movie Awards and Best Sci Fi at 2018 New York City Horror Film Festival. Marc Carrete and Charles Hamilton executive produced. Devilworks will be exhibiting at EFM in the Marriott Hotel Office #248 February 7 - 13.